The world will learn much more about Okinawa next month as Michelin publishes its new restaurant guide lauding Ishigaki Island and Kabira Bay. The French tire company is awarding Kabira By three stars in its new guide to be released March 16th, while Ishigaki Island itself has been recognized with two stars, firsts for the southern island. Read More! Thousands of men, women and children—lots and lots of kids—turned out at ball parks across Okinawa Sunday to welcome professional baseball teams as the annual rite of spring training got under way. 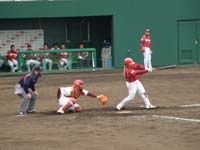 Eight of Japan’s professional ball teams are scattered across Okinawa for the month-long spring training, as are three of Korea’s professional teams. Read More!